Insurance sales start surging in January of every year and peaks in March. So, are more accidents happening during this period? More people getting hospitalized? Or, a sudden realization in the new year that one needs life cover? It’s Option D – none of the above. The reason is painfully simple – tax saving! 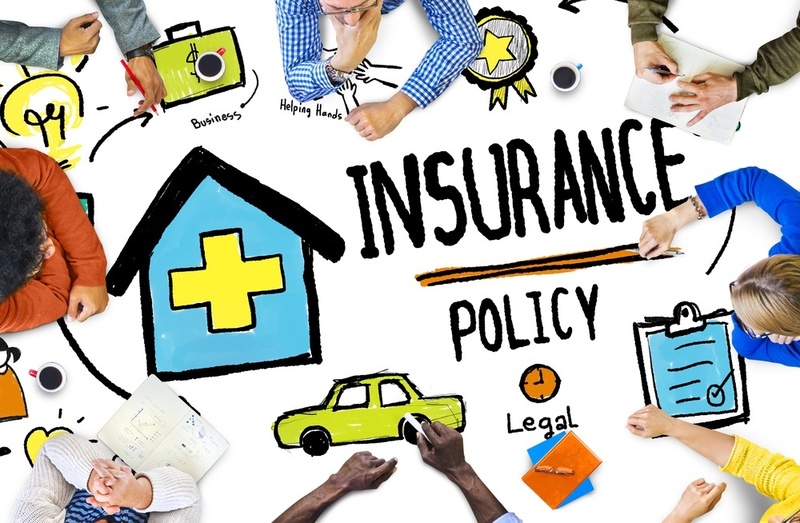 So, what’s driving this sudden rush to buy insurance – is there an inherent need or is it just the gift of gab of that persistent insurance agent whom you met the other day? We have taken four case studies from the four Metros of India to understand what kind of insurance are people from these metros opting for and what’s their motive to go for a particular insurance product. Mr. Abhishek Khurana, 34, is a Mechanical Engineer working with an automobile company. His family consists of his wife Ranjita, 32, homemaker, and a 3-year-old son. When we spoke to him, Khurana had no idea about the exact life risk cover he had. A few airy calculations later, he revealed that he had some 21 traditional policies and he was paying around Rs. 50,000 premium p.a. towards them. Most of his policies had been purchased during the December-to-March period every year, initially when his “family agent” would drop in to coax a policy or two out of him and later when he started receiving HR mails at work to submit tax-saving proof. The above example shows that the motivation to buy life insurance was solely for tax saving. Lack of awareness and an attitude of postponing things until the last minute rendered him an under-insured person. According to his income, he should have had a life risk cover of at least Rs. 1 Crore, whereas his cover barely crossed Rs. 10 Lakhs. Mr. Bimal Gupta, 36, is a Commerce graduate having his own garments business in Kolkata. His family consists of his wife, Ragini, 33 a homemaker and a 5 year old daughter. His father Mr. Deenbandhu Gupta, has always invested in insurance policies. The same has been largely followed by all his elder brothers. However, Gupta realised that insurance policies were a very low-yield investment and was not very keen on “investing” in insurance. He has taken a term cover for himself and one child plan for his daughter, investing his remaining money in PPF. Here, insurance was purchased for the right motive, but due to prevalent business climate, apprehensions and affordability issues, Gupta is under-insured. Mr. Venugopal Iyer, 44, runs a small restaurant in Chennai. His wife, Saraswati, 41, is a part-time school teacher. They have a 13-year-old daughter and a 10-year-old son. Mr. Iyer is extremely busy in his business and has no time to look at his books of accounts. His only motive to buy insurance was to oblige Saraswati’s friend, Anuradha, who had started an insurance agency as a “pass-time” activity. Today, Iyer is sitting on around 12 policies in his name, 10 policies in wife’s name, 2 policies each in his daughter’s and son’s names. He has no clue what policies he has bought. Nor does he expect any of these policies to secure his future or cover his life risk. Whenever Anuradha is not able to meet her targets, she drops into Iyer’s place and wangles a couple of policies from him. Another quirk about Iyer is that he is mighty apprehensive about paying taxes and thus files ITR only to the extent of having nil tax liability. This has also prevented him from availing a sufficient life risk cover for himself. He earns around Rs. 10-15 Lakhs a year, but due to under-reporting of income, he is not eligible to buy a life risk cover of Rs. 1 Crore. Although he knows what a term plan is, he is yet to agree that the trade-off is worth it. So, here, the motive to buy insurance is to oblige or to “maintain relations”. He doesn’t have enough life risk cover, defeating the basic purpose of life insurance. Last, but not the least, lets see what typically happens in Mumbai, the financial capital of the country. Mr. Yogesh Deshpande, 47, is a highly accomplished professor serving in a leading engineering college in Mumbai. His wife, Sulochana, 42, is a homemaker and occasionally takes hobby classes. They have two sons – elder son Namit who is 21 years old and younger son Rajat who is 18 years old. Deshpande only believes in investing in bank FDs and places complete faith in his banker. On more instances than one, he visited his bank to open an FD only to have his banker successfully sell him a ULIP. The banker’s pitch was simple: “this (ULIP) is ‘almost’ like an FD but with higher returns, plus insurance, plus tax saving.” Only after receiving his policy document did Deshpande realize to his horror that almost 30-40% of his investment had been wiped off under various heads of “charges”. After realising his mistake, he decided not to buy any more policies from his banker. But when his wife wanted to avail locker facility, the banker said that only “limited” lockers were available, and that he would give the lockers only to those who bought an endowment plan from him. The Deshpande couple knew that they were being given a raw deal, yet went ahead so that they could get a locker. In this case, the purpose of buying insurance was an unwillingness to resist selling pressure from a service provider. In the above examples, what’s intriguing is, insurance was neither pitched nor perceived as a product to cover risk. It was either to save tax or to maintain relations or to make an “investment”. Even in cases where the investor was willing to buy insurance for all the right reasons, monetary constraints sometimes reined him in. Life insurance is to cover your life risk. Thus, ideally it should be 10-12 times your annual income at a minimum. Term plan is the best cover you should buy for life risk. This way you get sufficient cover at a low premium. Tax saving is an additional incentive provided to encourage you to cover your life risk and to secure your dependents. Even if your tax saving is done, do not skip term plan. Private insurers are also well regulated by IRDAI. Thus, you need not restrict your term plan choices just to PSU insurers. Private insurers with good claim settlement ratio could be a good choice. Insurance agents’ “targets” are their headache and not yours. Do not stake your future (and your dependents’) just to oblige your agent. Buy it from him only when you genuinely need it. Similarly, your banker cannot “force” you to buy a policy to give you a locker or a loan. Although this practice is prevalent, please be informed that this is illegal and unethical. You have every right to lodge a complaint against this behaviour. Know your rights. And know your responsibilities. Above all, know that you need life insurance to provide life cover, not to save taxes or oblige someone. Author: Prof. Saurabh Bajaj is CEO with Nidhi Investments, Mumbai. He has been actively involved in writing for investor awareness since last 5 years. His articles have a readership from 64 countries across the globe. ← The Hare Could Win Here !! The third story is mine. Although I am not from Mumbai. My Banker forcefully sold me a guaranteed NAV plan because I was looking for a locker. I only realised it late and lost lot of money in a product that I thought was “Guaranteed”. Thanks to your article I will be more careful now. There have been numerous stories of bankers mis-selling. Better beware than sorry. Looking forward to more visits and feedback in future.